2018 Lowy Institute Poll – Climate change, renewables and coal. Despite the debate and political rhetoric, most Australians have not been persuaded to support coal over renewables for the nation’s energy security. Almost all Australians remain in favour of renewables, rather than coal, as an energy source. 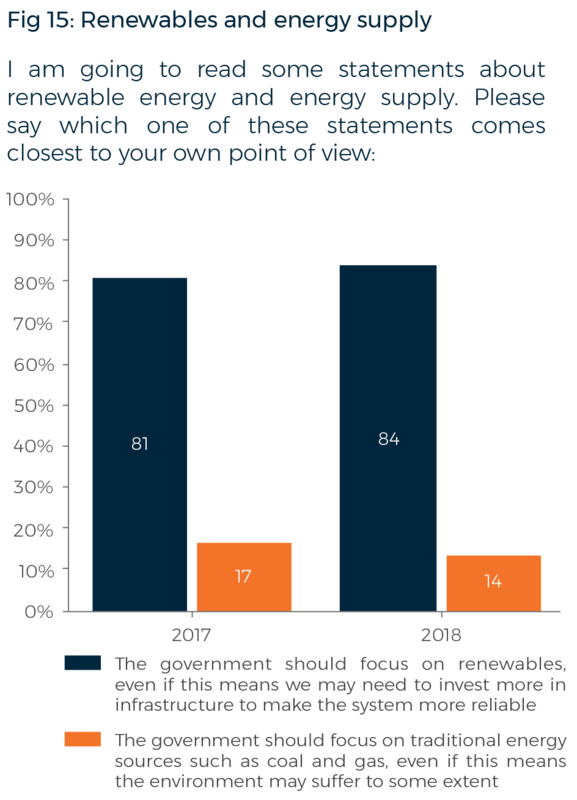 In 2018, 84% (up three points since 2017) say ‘the government should focus on renewables, even if this means we may need to invest more in infrastructure to make the system more reliable’. One Response to 2018 Lowy Institute Poll – Climate change, renewables and coal. The trends in the curves in Fig. 14 reflect what the public was hearing in the media. When Labor was in power, Capital boosted its propaganda spending in order to return its parties to government and protect its investment in coal and oil. 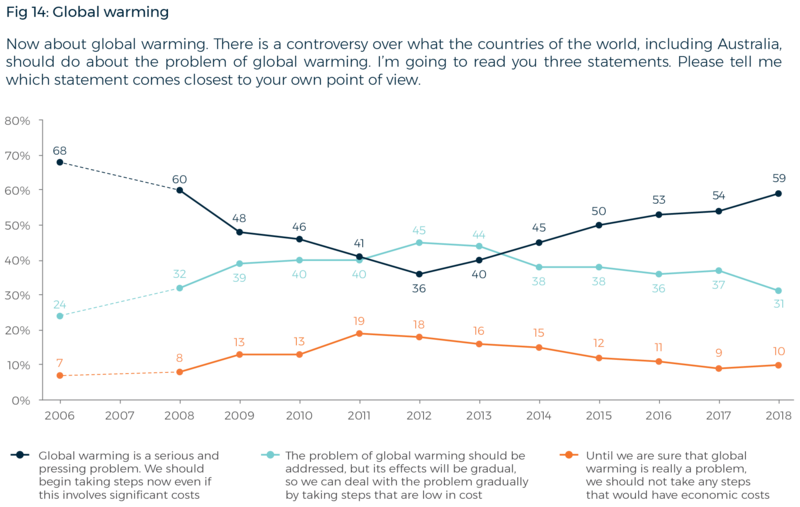 Part of that propaganda was untruths about global warming that matched the policies of the right wing of the Liberal/National parties. Satisfied in 2012-2013 that it had spent enough to get its own government back in power, Capital retired from the field. The trend then reflects a return to the predominance of facts as they emerged in the media from research findings. More recently, Capital has shifted some of its investment away from coal especially, and it may now be less prepared to sacrifice some of itself in order to again reshape public opinion on this subject.